Streamlined style with retro roots. 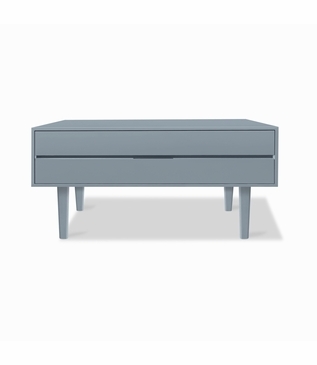 This Alto 2-Drawer Side Table is crafted from premium materials and painted in Poolhouse Blue with a high-gloss sheen and boasts an extra-long length. Midcentury-inspired, this side table features more contemporary details like tapered, rectangular legs with beveled edges. Rich, gleaming surfaces surround two drawers separated by a center reveal that hides finger grooves to open. As with all pieces from our Custom Furniture Collection, this side table is made-to-order in Los Angeles and can be infinitely customized. 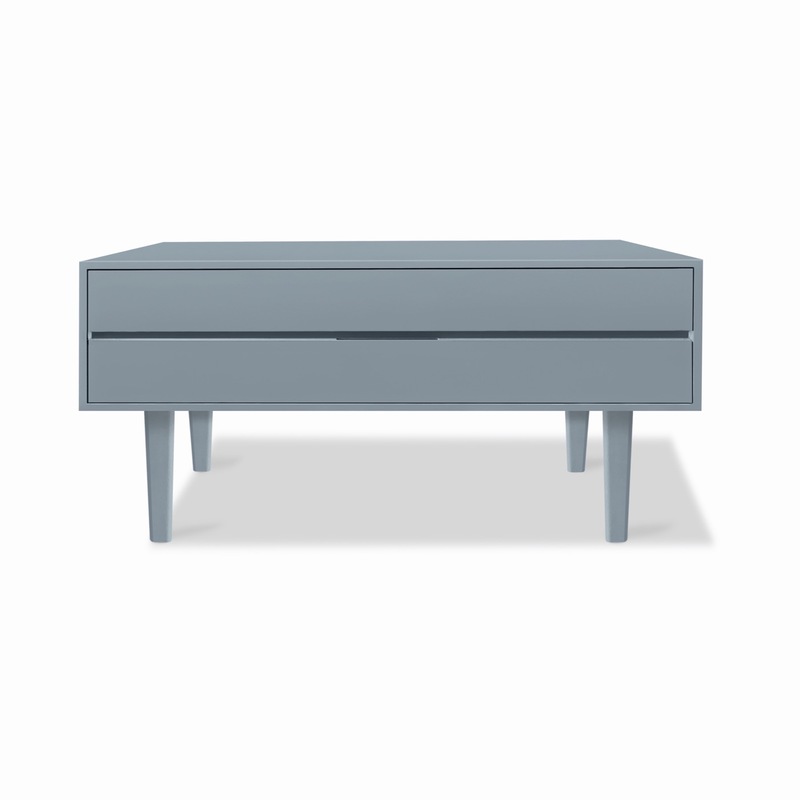 Choose your own dimensions, drawer configuration, wood type(s), finish(es), and hardware. For pricing, please call, e-mail, or submit an online quote request. Dimensions: W: 48" • D: 18" • H: 28"